Whether we want to believe it or not, the festive season is upon us! And while visions of tree-trimming, hot chocolate sipping and door-to-door carolling makes us feel all toasty and cheerful inside, the reality of the “holiday shopping hustle” can make even the most prepared shopper a little anxious. If you’re looking for a stress-free way to bring on the cheer, take the fam over to Park Royal. With over 200 stores and an assortment of eateries, it’s a guaranteed trifecta of family-friendly fashion, food and fun. 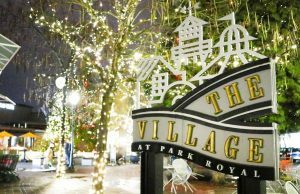 Located in beautiful West Vancouver with easy access from the mountains, downtown Vancouver and the North Shore, Park Royal is the perfect place to make some merry memories, while checking off that endless wish list. Planning a dinner party? Stop by Whole Foods Market in The Village at Park Royal for some holiday meal inspiration or pick up a couple appies and a potluck dish on the way. Their bakery has a great assortment of pastries, macarons and Christmas cookies, too. Have the kidlets in tow? Tell them to grab a complimentary apple or orange (located near the customer service desk) while they shop with you and when you’re ready to check out, they can either peruse the toy section or hang out at the play table nearby (with adult supervision, of course). If you’re looking for the perfect host gift, we highly recommend a visit to Anthropologie. 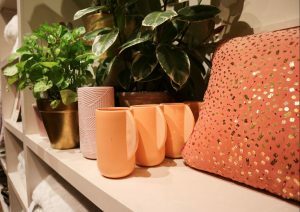 From fabulously-scented lotions, to quirky notebooks and stylish housewares, you’re bound to find the perfect unique treat. We also guarantee that one visit to this perfectly stylized store will have you wanting to re-do the décor of your living space, too. 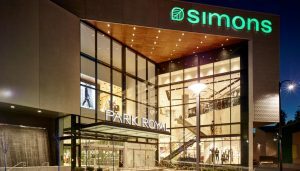 Park Royal is also home to the only Simons in the lower mainland. With over 100,000 square feet of fashionable finds for men and women, you’re bound to find something for the tastemaker in your life. We loved that they had the latest Anello backpack collections and it was here that we also (sadly) learned that fanny packs are making a comeback this season as well! On the gift hunt for the little ones? There are plenty of options for the small and stylish, including Zara Kids, Hatley, H&M Kids, GAP Kids, Crew Cuts in J.Crew and more. Make sure to check out Toy Jungle, Indigo and even Whole Foods for the latest in books, pretend play, dolls and games. If you’ve got some extra time, let them burn off some energy at Castle Royale , a gigantic jungle gym for kids of all ages. 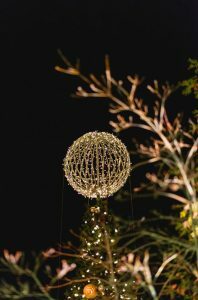 There are also plenty of places to refuel with the family, including Cactus Club Café (located right beside the giant Christmas tree in The Village – you can’t miss it)! While the kids can have their fair share of chicken strips, mini burgers or pasta, we recommend trying out their three-course Holiday Tasting Menu which includes a selection of mouth-watering appetizers, main dishes and desserts like tuna tataki, peppercorn steak, butternut squash ravioli and the super-decadent white chocolate cheesecake. For those who prefer meat-free dining, Cactus Club Café has also recently introduced a number of yummy vegetarian and vegan-friendly dishes! Don’t forget to toast to a successful shopping day over a spicy blackberry margarita or pina colada – their feature winter cocktails, perfect to warm your insides up a little before a stroll in The Village! In addition to Park Royal’s Holiday Hours, which begin December 8th, make sure to also check out their Holiday Calendar of Events. From Santa visits (including a Pet Photo Day on December 5th), live performances and even a performance from the Goh Ballet, there is something festive almost every day from now until January 1!